John Venn was a British mathematician and philosopher born on 4th August 1834 in Hull, Yorkshire. His mother died when he was only three years of age. His father, who was the rector of parish of Drypool, was from a distinguished family. Venn had descended from a long line of church evangelicals. His early schooling was done from Highgate and Islington. He then went to Gonville and Caius College of Cambridge in 1853 where he got a degree in mathematics in 1857. He became Fellow of the College; a title he kept for life. Venn was brought up in a very strict atmosphere at home. His father Henry had played a significant part in the Evangelical movement and he was also the secretary of the ‘Society for Missions to Africa and the East’. Thus he was compelled to follow the family tradition. Venn became a priest in 1859 after being ordained as a deacon at Ely. He also went to a town as a curate. However his thirst for knowledge and passion for mathematics encouraged him to do more than this. He therefore moved back to Cambridge to lecture in moral sciences. His aptitude for building machines led him to construct a rare machine. Its function was to bowl cricket balls. This machine turned out to be so good and accurate that once when the Australians were visiting Cambridge this machine was used on them. It actually managed to bowl out one of the top ranked player of the team four times consecutively. Venn was very good in the branch of mathematics we call ‘logic’. He has three textbooks to his name; ‘The Logic of Chance’ which was published in 1866, ‘Symbolic Logic’ (1881) and The Principles of Empirical Logic (1889). The books dealt with frequency interpretation that is the frequency theory of probability. The first book had a great influence on in the theory of statistics and its development. ‘Symbolic Logic’ was the book that gave the introduction of the Venn diagrams. John Venn came up with Venn Diagrams in 1881. They were a representation of the relation between sets using circles within circles. For example if we take three circles A, B and C which are all subsets of D. The sections which are overlapping represent similar properties of the subsets whereas the independent areas were the individual properties of the sets. Venn diagrams can be applied in various problems however they particularly aided in the Boolean logic (named after the mathematician George Boole). 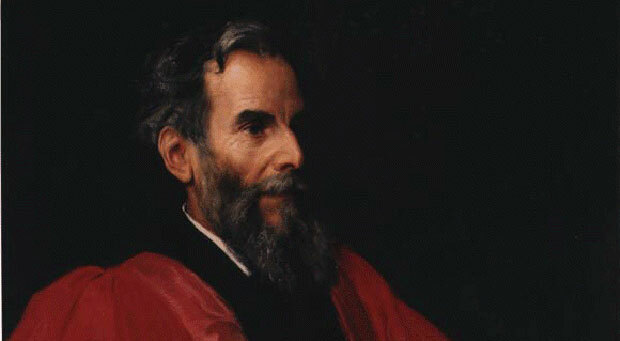 Venn was elected as member of the Royal Society in 1883. He wrote a book ‘The Biographical History of Gonville and Cauis College’ which was published in 1897. He married Susanna Carnegie Edmonstone in 1867 with whom he had one son John Archibald Venn who later entered the mathematical field. He is remembered for his immense contribution to logic. There is a building named after him at the University of Hull and a stained glass window in a hall in the ‘Gonville and Caius College’ remembering his work. John Venn died on 4th April 1923.